Good quality running shoes can make you run more efficiently and can help prevent injury. 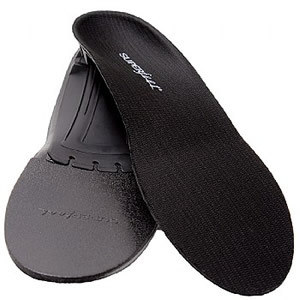 They must be light, breathable, have cushioning in the right places and must offer stability and shock absoprtion. All sports shoes should be sport specific so always buy shoes applicable to the sport you play. If you run then buy running shoes. Check your running shoes for signs of wear and replace them regularly. The life of a running shoe is anything up to 500 miles. 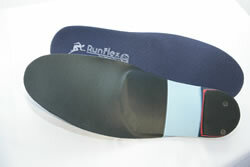 Orthotics are insoles worn inside your running shoes to change the way you walk and run. 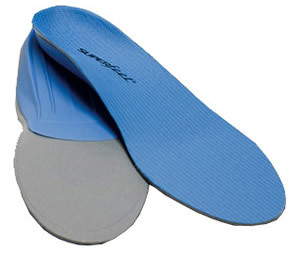 If you wear orthotics in your running shoes, your shoes should be neutral. Running shoes are either neutral or have anti pronation control or anti supination control. 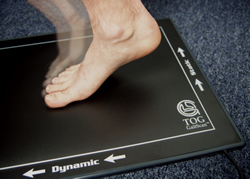 Make an appointment for a Gait Analysis assessment. 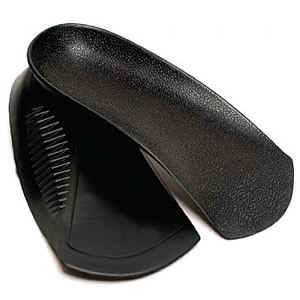 Contact details to make an orthotic appointment. 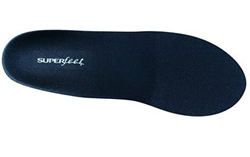 If you live in Kent and want to try the Superfeet insoles with your trainers I normally have these ones in stock. You increase your risk of these injuries if you have biomechanical problems and don't wear appropriate running shoes and don't use orthotics. It is important to purchase the best running equipment you can afford. Running shoes should be replaced regularly. Custom running orthotics specifically made for your feet for road running, cross country running, jogging and treadmill running.